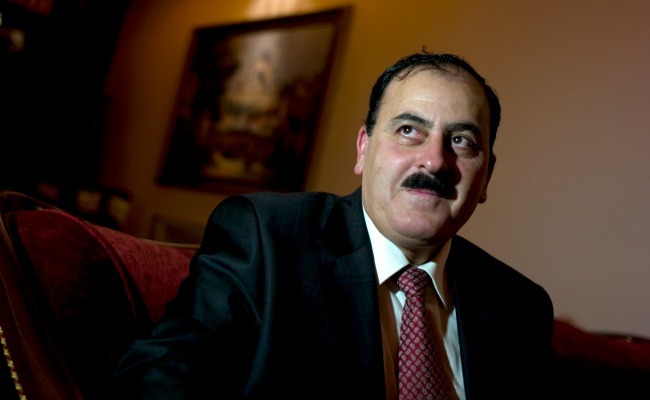 Intervention backers are considering bringing Salim Idris, the former Syrian army general heading the rebel Free Syrian Army’s military efforts, to Washington to make his case to Congress in person. While no final decisions have yet been made, the idea is that hearing directly from Idris and from Ahmed al-Jarba, the Syrian National Coalition's newly elected political leader, could help to win over lawmakers. Secretary of State John Kerry confirmed that Idris "is prepared" to travel to Washington to lobby members of Congress to take military action against the Assad regime. During Tuesday's hearing before the Senate Foreign Relations Committee, Kerry said Idris is currently in Germany to talk to lawmakers there, and will head to London next to meet with members of the British Parliament, which voted down military action against Syria last week. A series of congressional briefings is scheduled for the coming days involving the Pentagon and the State Department, among others. The approach is “all hands on deck” with talking points flying about among offices; the administration is working hard to be as accessible as possible to lawmakers who remain skeptical of any intervention anywhere and want to see all the assembled evidence. For those who favor greater support to the rebels it has been a set of days marked by peaks and troughs, bringing relief at the idea of U.S. military intervention, even in a limited way, but surprise at the White House’s decision to delay action and seek congressional approval. “You get the actual leaders of the political and military opposition to go to make the same case in person and to say: ‘Here are the real details as I have seen them on the ground; here is what my soldiers have seen,’” says Dan Layman, spokesman for the Syrian Support Group, an advocacy organization based in Washington, D.C., that supports the Free Syrian Army. Layman says time is running out for bolstering the moderate opposition that has been out-outfitted and outspent by extremists backed by regional powers including Qatar. Getting that fractured moderate opposition to the negotiating table has proven to be a daunting diplomatic challenge. On Sunday, Kerry said that even as military strikes are contemplated the U.S. “will continue to work with Russia in conjunction with us in that effort to try to achieve that political settlement,” calling it “our top priority.” On Monday, Kerry spoke with Idris and told him the U.S. is committed to supporting the Syrian opposition in its push to force Assad out of office and “usher in a democratic government in Damascus,” the Wall Street Journal noted. Russia and the U.S. in July were said to have renewed the push to get the parties to the table, with the Russians agreeing to the idea of a transfer of “full executive powers” as outlined in the June 2012 Geneva communiqué. But after suffering a series of military setbacks the opposition remained reluctant to negotiate from a position of weakness. In the wake of the August 21 chemical attack and the last week of Syria policy whipsaw, any chance the opposition will agree to the long-delayed Geneva 2 without military action has vanished. For Layman and those backing greater support for the Syrian rebels, a U.S. military strike paired with sustained support for the rebels offers the best shot at getting to an eventual diplomatic deal.